Additional to our Personal Stylist and Colour Theory online courses, we also offer practical training to assist you with these skills. We do not believe you can learn how to drape and do personal colour analysis via distance learning as screen colours vary, and we need to be able to see what you are seeing in person to ensure that you are doing a colour analysis correctly. We put on practical classroom training as required. Please contact us for further details and to register your interest or discuss dates for your training. We are running training in Chicago, USA in 29 March- 1April 2019 – please see dates below and do let us know if you are interested in attending. Prerequisite: To enrol in this 3-day classroom practical, you must have completed Online Colour Theory Training. Your Absolute Colour System drapes and swatches are included in the training – no licence fees or unexpected costs. Prerequisite: To enrol in this 1-day classroom practical, you must have completed the Online Style and Image Mastery for Women Training. 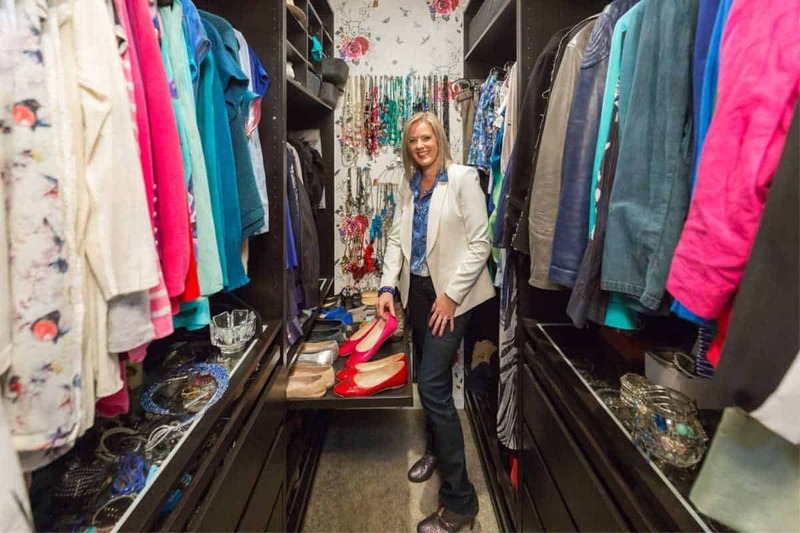 Our Style practical day includes doing a wardrobe audit and taking a client on a personal shopping expedition. “I had been working as a Personal Stylist for a few years when I decided to train as an Image and Colour Consultant. 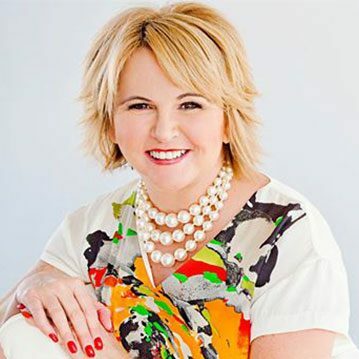 I was very fortunate to have done my personal stylist training with one of – if not the most successful personal stylist in Australia at the time. For quite a while I had been thinking about going back to school” and doing some intensive training simply because I was ready to build on the skills and knowledge that I already had as a personal stylist. I wanted to be able to offer a full range of products and services to my clients. It was very important to me that I found a course that was run by someone who shared the same values, ethics and integrity as me and I certainly found that and more with Imogen. The course content is first class. Every concept is clearly and thoroughly explained. There is enough material in this program to help you start your business. You have ongoing access to Imogen long after you finish the course, and I guarantee you’ll go back through the materials again and again — they’re chock full and yes, they’re that good. Her undying patience, openness, and availability is absolutely impressive. The women on my course were like no other I’ve been a part of. They were kind, giving, generous, non-competitive, supportive, thoughtful and… I could keep going. I have never ever been a part of a group of women who are all ambitious yet simultaneously caring and non-competitive. Twelve months on and I’m still in contact with some of my group (half of the group were from interstate) and we catch up on a regular basis and are members of the local chapter of AICI. Imogen is my go-to person whenever I have a business question. She’s amazing! 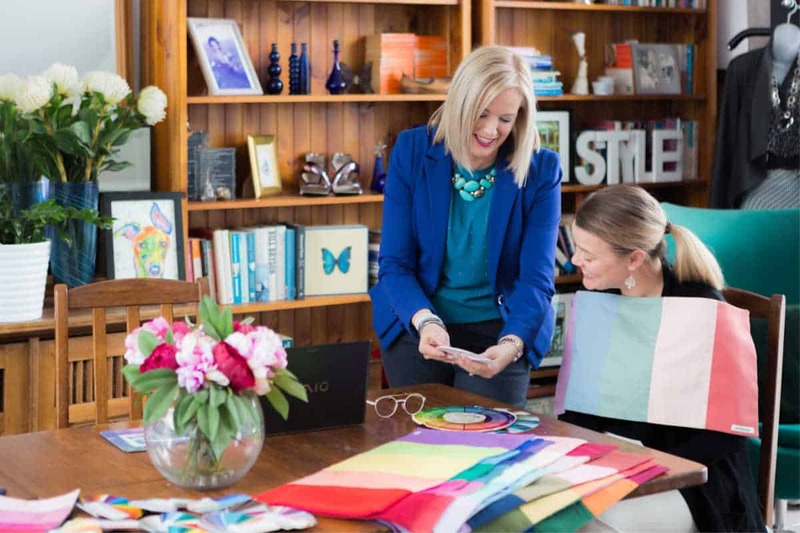 If you’re clear or even mostly clear that you want to be an Image and Colour Consultant, you are primed to take advantage of what Imogen teach in this course. Seriously, I did a lot research on AOIP before I committed to signing – after all it is a lot of money. I spoke to three past students who are all now successful image consultants and they could not rave enough about the course and the support they continue to benefit from and after speaking with them I was so excited and enthusiastic I signed up the next day.